The remote operated Superlifter magnet, can be turned “on” or “off” using a remote control, without the need of air or electricity! 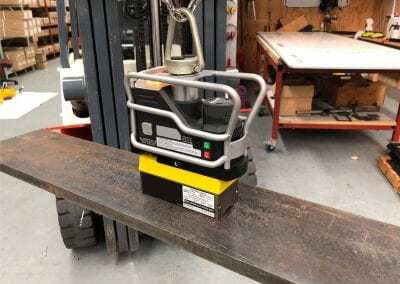 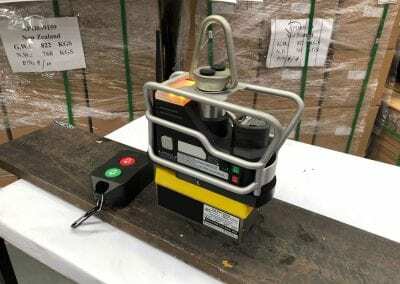 Not only does this give the operator freedom from electrical cords and air hoses, but also opens up a whole new range of lifting possibilities where accessibility to the magnet was cumbersome or impossible to reach, such as lifting above or below arm’s length, into deep channels, loading or unloading CNC/cutting tables and operation from inside the forklift. 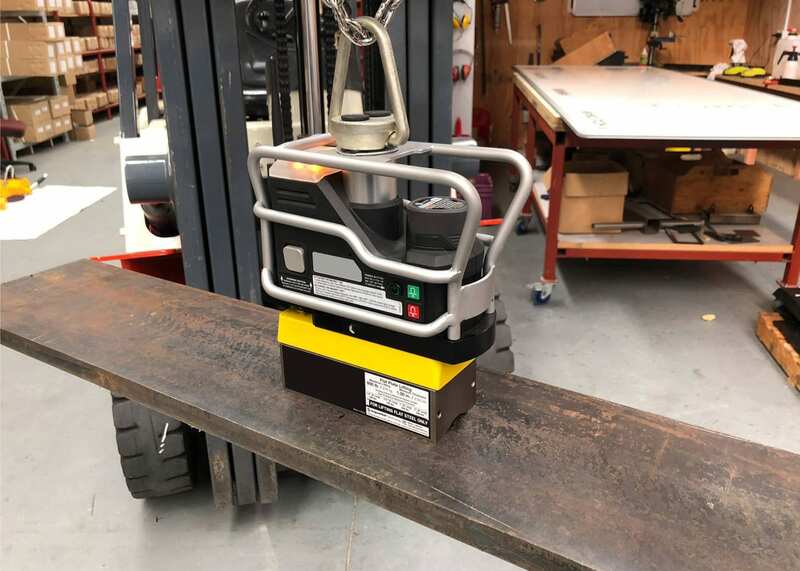 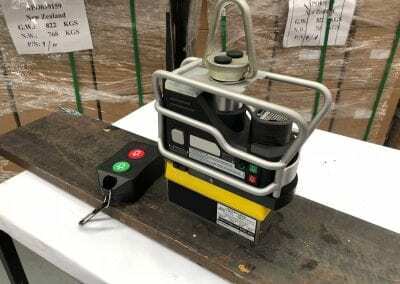 This compact, yet powerful, Rare Earth lift magnet contains an internal on/off release device that does not contact or damage the surface of the part being lifted. 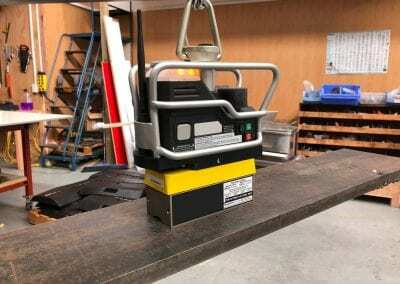 Permanent magnetic lifts also eliminate the fear of dropping the load being lifted due to power failures.